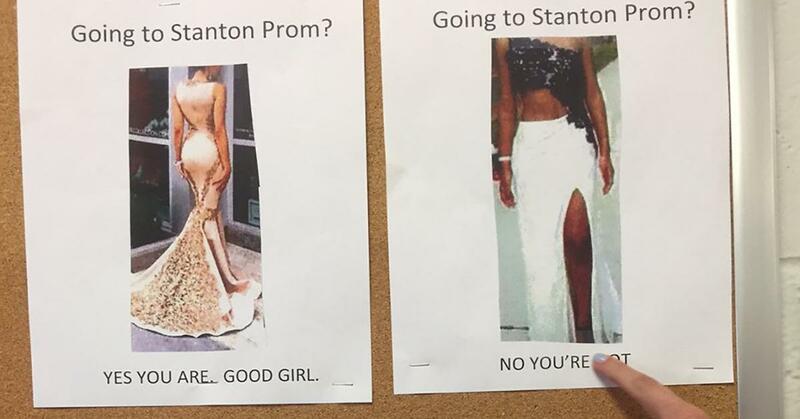 Twitter user Lily Willingham took to Twitter recently to share flyers of prom dress guidelines she spotted in the hallways of Stanton College Prep High School in Jacksonville, Florida. They show examples of dresses that won't be allowed at the prom, and an example of a dress that is considered acceptable with the comment: "GOOD GIRL." 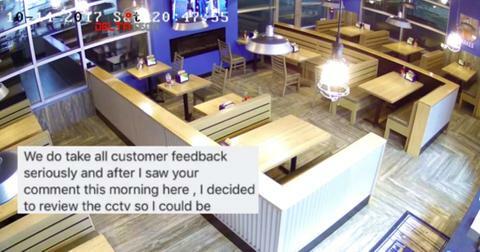 Yes, it's as creepy as it sounds. As you can imagine, Twitter users weren't happy about the display. The student body responded with the hashtag #scpgoodgirl, which quickly went viral and prompted responses from around the world, most of which included the word "disgusting." 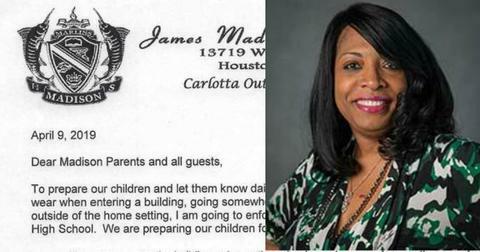 The school's principal also added, "Please do accept my apology for this poor delivery of information. Our intent is to make sure prom is enjoyable and memorable." 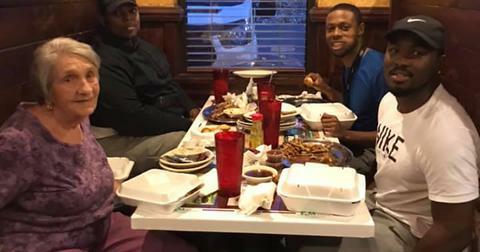 But that was after the student body staged a protest over the photos. Some students showed up in purple and white shirts displaying the female gender symbol on Tuesday to show solidarity and support for women. Sadly, this isn't the first time that a school has gotten into trouble after telling female students what they should and shouldn't wear to prom. And it probably won't be the last. Here's hoping that being called out on a national scale will help turn things around at Stanton College Prep.